Why handbags? Think about it, a handbag to most women is an accessory that is very closely associated with our most intimate possessions. 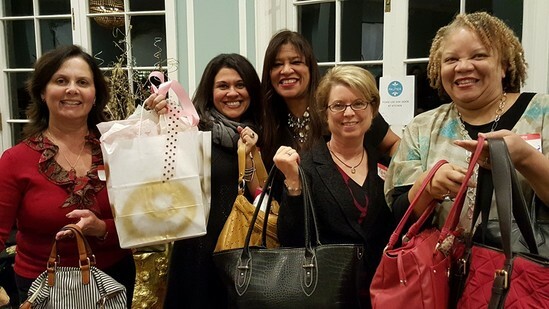 Many women in need have lost their handbags along with other possessions. Sharing one of yours that you no longer need will promote happiness and giving with a bag full of essentials, personal care items. Please bring your donations of a UNUSED OR GOOD, SECOND-HAND HANDBAG filled with toiletries/supplies. They will be donated to women who are homeless or in ​crisis to provide comfort and restore dignity . Thank you so much for your kind support and see you at the event!